Plum District: Utah deals! 10% off code! 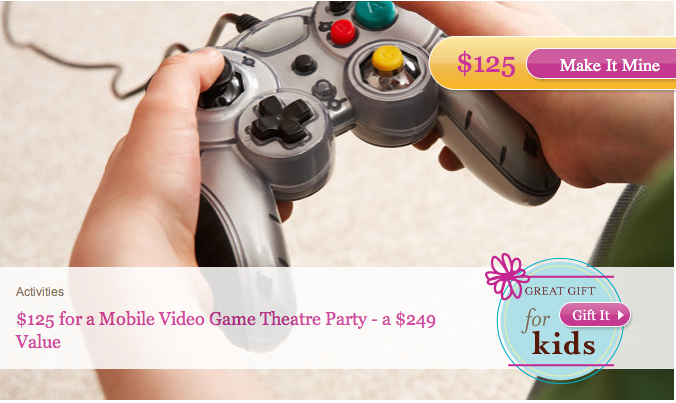 Plum district has a great deal for a birthday party in Salt Lake County! 50% off at Gamin Ride - a mobile video game theater party! They say its a great gift for kids but I want one for me :) They come right to your house and can hold up to 16 kids. It costs $125 ($249 value) See details here. Also if you use code fabulous you'll get 10% off of any deal, plus if your new you'll get a $5 credit! My Busy Book $23 - these are really cool!! !